In 3-D live printing, substances such as bioactive biopolymers are integrated with bioceramic materials. The material is then literally printed onto the affected area, thus forming a scaffolding rich in blood to assists new bone growth. Varanasi’s process has had promising results in animal models. 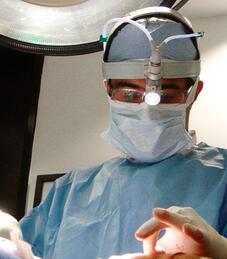 The chemical make up of the new bone has proved to be comparable to the bone in the surrounding area. Researchers in Varanasi’s lab can complete the entire printing process within 45 minutes. In the future 3-D bone printing could give oral and maxillofacial surgeons a better option for reconstructing facial defects. Dr. Likith Reddy, associate professor in oral and maxillofacial surgery and director of residency training at Texas A&M University College of Dentistry, says that, “The gold standard for reconstruction of such defects involves carving of the cranial bone, hip bone or the leg bone to recreate the missing structures. This is technically impossible for large facial defects.” Dr. Reddy believes that if this technology works as anticipated, “Reconstruction of such complex facial bony defects would become less of an art and more of a science.” According to Reddy, in vivo printing holds the potential for substantial strides in patient rehabilitation. This research is currently funded by the National Institutes of Health-National Institute of Dental and Craniofacial Research and Texas A&M University intramural grants. To help advance this technology to that next level, Varanasi and the Texas A&M Office of Technology Commercialization have been in talks with potential investors. Research grants with National Institutes of Health, National Science Foundation, the Department of Defense are also being pursued. Meanwhile, researchers at the College of Dentistry continue to develop the technology to enhance reproducibility. On Friday January 27, 2017 Biotechnology Calendar, Inc. will host the 16th annual BioResearch Product Faire™ at Texas A&M University. Life science professionals are invited to attend the upcoming trade fair for free. Come learn how new tools and techniques can assist with the research process. To to attend the on campus trade fair pre-register by clicking on the button below. This event is a great opportunity for laboratory equipement suppliers to meet face to face with active researchers and discuss their equipment needs. 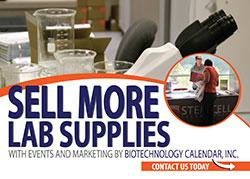 Lab suppliers interested in displaying and demonstrating their latest products at this biotechnology trade show should call (530) 272-6675 or click on the link below for more information.